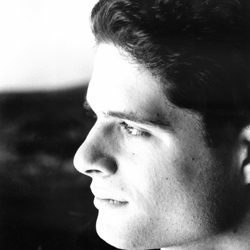 Tom Kitt received the 2010 Pulitzer Prize for Drama as well as two Tony Awards for Best Score and Best Orchestrations for Next to Normal. His music for Next to Normal also received the 2009 Frederick Loewe Award for dramatic composition and the Outer Critics Circle Award for Outstanding Score. Mr. Kitt is also responsible for the music supervision, arrangements and orchestrations for Green Day’s American Idiot on Broadway, and provided additional arrangements for their Grammy Award-winning album 21st Century Breakdown and their new album trilogy, Uno! Dos! Tre! Mr. Kitt is also the composer of High Fidelity(Broadway); Bring it On, The Musical (with Lin-Manuel Miranda, Broadway), If/Then(National Theatre); The Winter’s Tale and All’s Well That Ends Well (The Public’s NYSF); From Up Here (MTC); and The Retributionists(Playwrights Horizons.) As a musical director, conductor, arranger and orchestrator, his credits include Pitch Perfect (Feature Film), 13, Debbie Does Dallas, Everyday Rapture, Hair, Laugh Whore, Pippin (Deaf West), and Urban Cowboy.